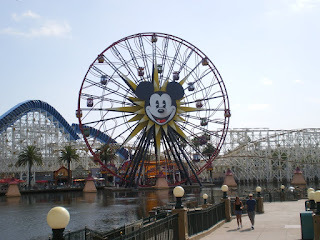 Most of our day was spent today at Disney California Adventure Park. We spent a good 5 hours here. We parked our car in their lot and then took a shuttle bus into the park. There were so many people here and unfortunately we didn't see all we wanted to see.Line ups were 45-55 minutes long for some of the more popular attractions. Erika had wanted to go on Twilight Zone Tower of Terror but we were too scared to try it- and with a 55 minute line up,she didn't go. We by passed anything with a longer than half hour wait.Later I read online that this is the busiest weekend in May with it being a holiday weekend, and long wait times are to be expected. We did get to see a few of the 3D vision shows which we enjoyed and required little waiting time, such as the Muppet Vision 3D. 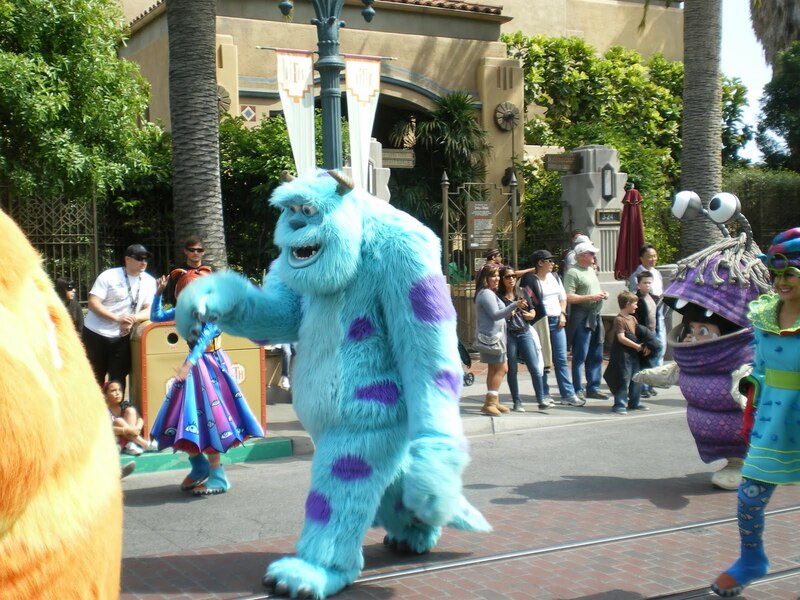 We also saw one of their parades,and had fun watching those braver than us take off on the California Screamin' roller coaster. The park map was informative and easy to follow and onsite staff where readily available to assist.There was a good selection of places to eat, drink and pick up souveniers. Disney California Adventure Park is a fun place for the whole family. I approached the Disney company to participate in a review of their parks. The following post is a reflection of my own personal thoughts and ideas and do not represent those of Disney.